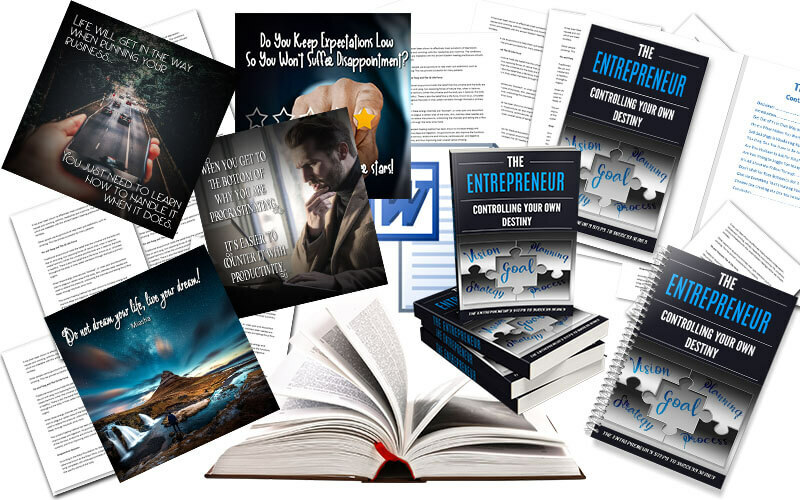 “The Entrepreneur – Controlling Your Own Destiny” PLR package is filled with high-quality content! It includes a report, 20 articles… and they’re not short articles… and more! You’ll receive a Report, eCover graphics, 20 articles and 20 social posters! 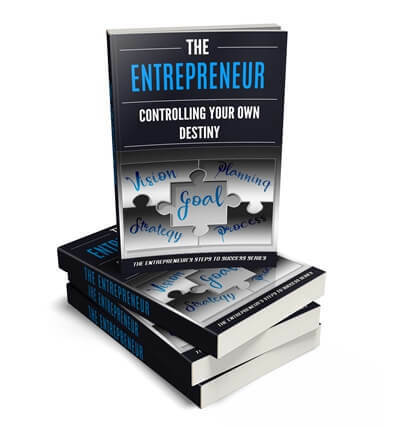 ‘The Entrepreneur – Controlling Your Own Destiny’ PLR report helps you take control and get things done! The report is all new content, and is 24 pages, 4,322 words long! It is fully formatted and includes a table of contents with hyperlinked pages, a disclaimer, an introduction, and a conclusion. The report is fully illustrated with royalty free, commercial use images. Are You Hesitant to Ask for Help? Are You Trying to Juggle Too Many Side Hustles? Plus, we’ve created high quality, professionally designed eCcovers for you. There are four different formats to suit your own personal needs. You also receive the PSD file in case you would like to make any edits. All our articles are professionally written and edited and we pride ourselves in providing high-quality content. These articles are NOT the ones in the report… they are entirely different and ALL NEW articles! Social posters are a must for your business. Why? People love to share gorgeous graphics and that’s what we have created for you. You can post these on your website and share to your favorite social media platforms. You’ll receive 20 social posters, one for each article in this package, plus you’ll receive the PSD files so you can edit them if you so desire. These posters have been created using royalty free, commercial use licensed images. By now we’re sure you can see the amazing value in this package! We provide high-quality content and you won’t be disappointed! Just click the button below to instantly receive this incredible offer!